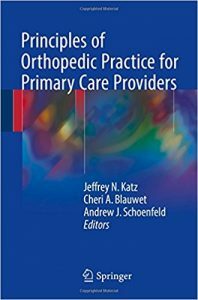 This interdisciplinary clinical reference encompasses more than 310 current entries on a broad range of topics related to geriatrics and geriatric care across multiple health care disciplines. 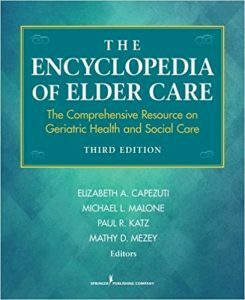 The third edition reflects the many advances in geriatrics that have occurred since the publication of the second edition in 2006. 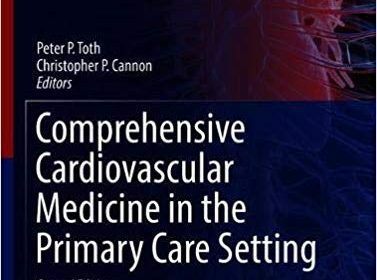 It contains the updated, evidence-based contributions of more than 260 nationally recognized geriatric healthcare professionals regarding elder-care concerns relating to society, community, caregiving, and the individual. Completely new entries address Geriatric Care Models (acute care for elders, Project BOOST), Geriatric Health Issues (diarrhea in adults, prolonged hospitalization, frailty, fronto-temporal dementia, re-hospitalization, acute urinary retention, personality and aging, primary palliative care), Technology and Aging (Smart home sensors, Telehealth, Surveillance technology), and more. The Encyclopedia is organized alphabetically and includes links to important Web-based resources and Apps. Clinical topics comprehensively address diagnosis, treatment, and disease management. 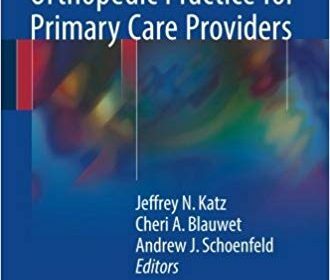 Health care clinicians across the continuum will find this reference√≥the only one of its kind–to be a valuable guide to making appropriate referrals to social service providers, and social service professionals will be well informed by highly accessible descriptions of diagnoses, clinical syndromes, and care management. Dr Andrew Papanikitas qualified as a general practitioner in 2008. His PhD in medical education was awarded in June 2014 and is entitled, “From the classroom to the clinic: ethics education and general practice.” Dr Papanikitas is part of an informal network of academics, educators, and clinicians with an interest in the study of ethics in, of, and for primary healthcare. He welcomes conversations on this topic, especially via the ‘Primary Care Ethics’ LinkedIn Group which is has an international and influential membership. Dr Papanikitas is also Director of the Society of Apothercaries Course in Ethics and Philosophy of Healthcare. He has taught medical ethics and law as well as inter-professional and clinical communication skills at King’s College London (KCL). He has co-led a postgraduate medical ethics course at KCL and an online Bioethics course at the University of Oxford. Dr Papanikitas holds degrees the History of Medicine, and Medical Law & Ethics, as well as postgraduate diplomas in history, philosophy and child health. Most recently he was awarded a diploma in teaching and learning in higher education by the University of Oxford, and has become a Senior fellow of the Higher Education Academy. He is one of the founding members of the Royal Society of Medicine Student Members’ Group and has served on the Trainees Section and is currently also on the council the GP and Primary Healthcare Section. He was President of the RSM Open Section from 2012-15. Dr Spicer is Head of Primary Care Education and Development at Health Education England – South London, and a GP in Croydon, South London. In 2017 he marked 40 years of clinical practice in the UK National Health Service and overseas. Having previously been a Senior Lecturer at St George’s University of London for 10 years, he now has particular interests in the medical humanities and the nature of personal responsibility in health. 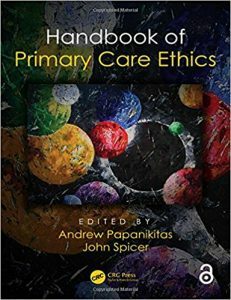 Over the last 15 years he has written widely on primary care, clinical ethics and associated educational issues. He is an editor for the London Journal of Primary Care and a Board member of the London Arts in Health Forum. 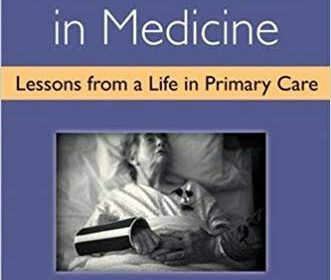 The text first guides the reader through the underpinning theory behind the different approaches to person centered and relationship centered care and provides case scenarios with a range of practical strategies staff and students have developed and implemented. 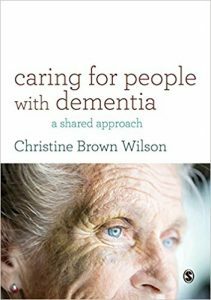 It then presents the different levels of the organisational change using practical strategies adopting a person centered and relationship centered approach involving the person with dementia and their families. 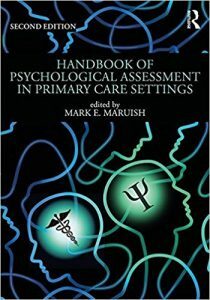 The second edition of the Handbook of Psychological Assessment in Primary Care Settings offers an overview of the application of psychological screening and assessment instruments in primary care settings. 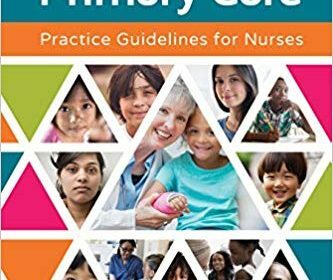 This indispensable reference addresses current psychological assessment needs and practices in primary care settings to inform psychologists, behavioral health clinicians, and primary care providers of the clinical benefits that can result from utilizing psychological assessment and other behavioral health care services in primary care settings. Effective management of long-term conditions is an essential part of contemporary nursing policy and practice. Systematic and evidence-based care which takes account of the expert patient and reduces unnecessary hospital admissions is vital to support those with long-term conditions/chronic diseases and those who care for them. – nutritional and medication management. Packed with helpful, clearly written information, Managing Long-term Conditions and Chronic Illness in Primary Care includes case studies, fact boxes and pointers for practice. 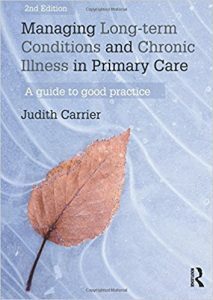 It is ideal reading for pre- and post-registration nursing students taking modules on long-term conditions, and will be a valuable companion for pre-registration students on community placements.